Outside of fashion he’s been is charge of the creative direction, promotion and hosting of various nights and hospitality concepts. His most recents are the Jazz & Tarot evenings at Datcha (Montréal) and the speakeasy Nenuphar in his hometown Quebec city. A new fashion project: EDEN power corp will be launched this year. The Itinerants - An insight into the personal and private lives of global nomads driven and guided by their passion and innate ability within the creative industries. All images provided from the libraries of their phones and devices. Location scooting / Patrick Dougherty land art. Florence testing the EDEN power corp. hologram fan. 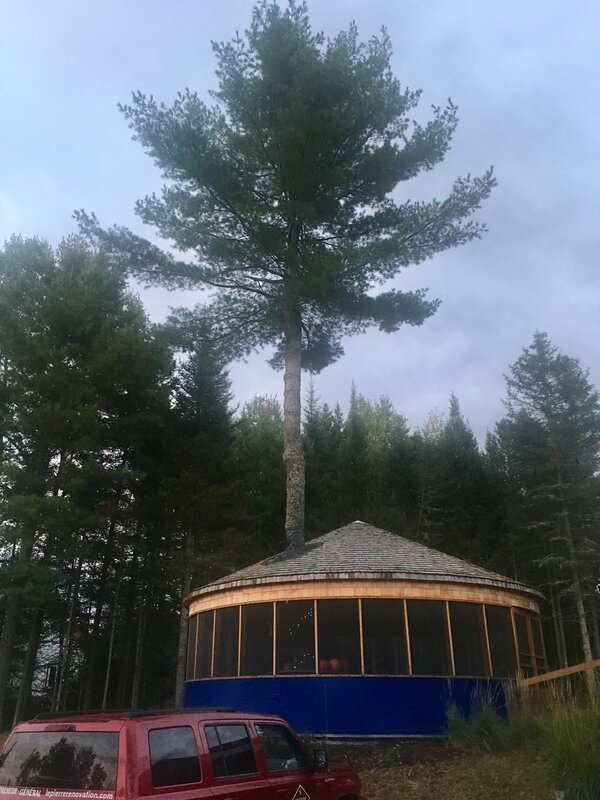 Huge yurt built around a tree. Stumbled upon these cool kids during my last trip in Mexico. Laurence is a Montreal based DJ. Kami is 19 and used to be a F4 driver, he also happens to be the son of Cirque du Soleil founder, Guy Laliberté.